Cricket is top of the summer pedestal. But for how long? Cricket is synonymous with summer in Australia. So is the beach. That is pretty much it. 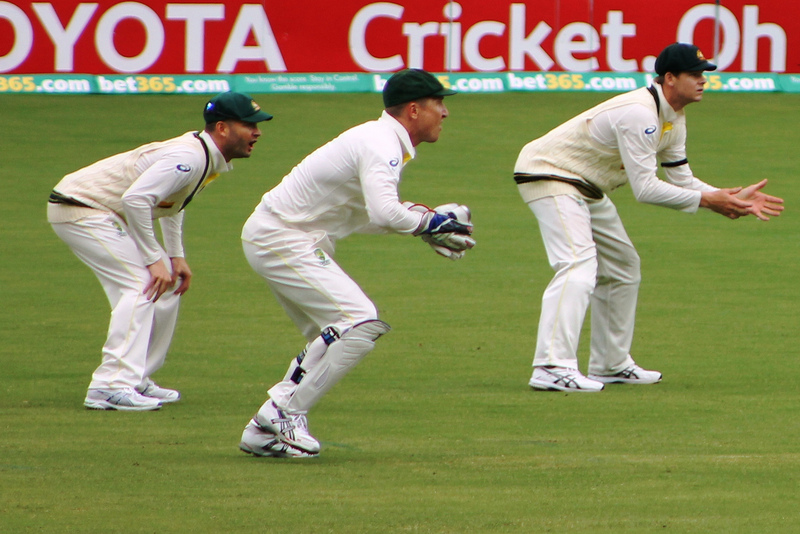 Despite being such an iconic Australian sport, Cricket can’t really rest on its laurels. It doesn’t have summer all to itself now. Football moved the A-League from winter to summer and the NBL did the same for Basketball. Netball is getting a stronger profile. Laura Geitz has helped. Tennis has always been there or thereabouts (more thereabouts than there these days, well at least since Lleyton Hewitt dropped out of the top 10). There are other non-sport options too (like playing FIFA or NBA 2K15 on your PS4 (I almost bought NBA 2K15 immediately after seeing the ad as I’m a sucker for a gangster rap backing track – cause I’m so hood, not)). So what does the ACB need to do? This isn’t rocket science BTW. For goodness sake, something needs to be done about the Sheffield Shield. Pariah is a strong word but surely the Sheffield Shield can’t be far off. Crowds were nearly non-existent when I was a kid and that was at least 100 years ago. The last bumper crowd I saw at a Shield game was in the 1994/95 Sheffield Shield Final which was Queensland’s first ever win. The Gabba was rocking. That was a great side BTW. Trevor Barsby, Matt Hayden, Martin Love, Stuart Law, Allan Border, Jimmy Maher, Wade Seccombe, Andy Bichel, Dirk Tazelaar, Paul Jackson and Carl Rackemann. That was back when I knew (without the assistance of Google) the entire Queensland batting line up. I would be struggling today. The League of Extraordinary Gentleman wants to turn the Sheffield Shield into an U/20s competition and be done with it, but I’m not so sure. The League of Extraordinary Gentleman and I don’t diverge on many things, our World views being very similar, but this is one of them. The ACB have been trying to fix the competition for some time. Moving some of the fixtures to country venues was a good start. They have tried reducing ticket prices. Getting warmer. Perhaps throwing some of the marketing budget behind the competition will help even further. Here’s another idea, get a free to air partner or Pay TV partner to start broadcasting at least one match a round. Even if that broadcast partner has its costs heavily subsidised. Surely it would be better content than the Home Shopping Network. Foxtel is going to need to be very competitive in the face of internet streaming and competitors like Netflix coming to Australia. Ditto free to air. Why not the Sheffield Shield? Day night Sheffield Shield matches are an interesting idea. It may just work if they can ever sort the ball out. We can put a man on the moon but we can’t organise a Cricket ball we can see at night? Whatever they do, they need to do it soon. The competition is dying. It must be running at a massive loss for the ACB. There are kids running around that don’t even know it exists. And while they are at it, they should do something about One Day Cricket. It is dying a slow death as well. Shifting the Triangular Series into a 5 or 7 match series between the same sides just isn’t working. Crowds are dwindling. I imagine TV viewing numbers are down as well. I have nothing to back that up BTW. At least the matches are broadcast. I suspect this is a promotional issue as well. This relates to the previous 2 points. For there to be any marketing momentum, it is crucial that home grown stars headline all 3 of the domestic competitions and not just the Big Bash. Balancing the load of the Test team is a delicate business and player burnout is always an issue but directing their energies towards domestic Cricket is important for the sake of the domestic game. Players like Mitch Johnson and David Warner are household names. They should be on billboards across the country promoting Sheffield Shield, One Day Cricket and the Big Bash. Apparently there are 1.1 million people playing Cricket in Australia. That is massive. Creating a steady career path from those stellar numbers to the limited professional contracts is a must. There has always been a gap between State Cricket and Club Cricket. The different academies of sport have played a part in bridging the gap, however, ensuring that an adequate career path is available for aspiring young Cricketers is crucial. Put it this way, when a multi-sport star can choose between Cricket and Aussie Rules or Cricket and Rugby League, Cricket often finishes second. The gap between an ACB contract and anything else is a massive gulf. The IPL has helped to widen the group of Cricketers able to make a living in the game but the ACB can do more to define a career path for young players. Betting on every aspect of the match is possible now and has been for some years. When those Cricketers from Pakistan were banned it was apparently exploiting various exotic bets including how many no-balls were bowled. There are various different ways to detect match fixing including investigating irregularities in play, irregularities or spikes in exotic betting, tip offs and irregularities in player income. This is an issue broader than Australia but the ACB needs to do its best to ensure match fixing doesn’t infiltrate the game to a greater degree. If the integrity of the contest is called into question then there is a good chance Cricket’s popularity will wane commensurately. Trying to secure adequate payment for players from the poorer countries would help. The IPL is singlehandedly increasing salaries of Cricket players worldwide. Ensuring that players from developing countries get a slice of the pie may help in curbing vulnerability to match fixing. Young Cricketers in all countries are vulnerable and the ACB must do all it can to stamp it out of the game. For Australia, England is the old enemy but my favourite memories were of contests between Australia and the West Indies. The great sides led by Clive Lloyd and Richie Richardson spring to mind. It coincided with World Series Cricket and the commensurate upswing in popularity Cricket experienced in Australia but it had a fair bit to do with Calypso swagger as well. The Windies were very popular in Australia and to see the state of the game in the Caribbean is sad. Whatever the ACB can do to help bring Cricket back in the Windies should be done. Perhaps an international challenge between the Australian First Class sides (Queensland, New South Wales, Victoria, Tasmania, South Australia and Western Australia) and the First Class sides in the domestic West Indian Competition (Guyana, Jamaica, Barbados, Windward Islands, Trinidad and Tobago and Leeward Islands) could be a start. Perhaps it could supplement the domestic one day competition of both competitions. Equity in player payments would help the Windies as well. The ICC has been trying to get this off the ground since Victor Trumper was taking guard but hasn’t had a lot of luck. Apparently it is going to happen in 2017. The top 4 ranked countries at 31 December 2016 (currently South Africa, Australia, England and Pakistan, in that order) will compete in a yet to be determined format. I think the Sheffield Shield format would be useful (higher ranked teams win in the event of a draw, which forces at least one team to go for a result) for what I expect will be 2 semi-finals and a final. Pitch selection will be crucial. The first event will be held in England with the Final at Lords, no doubt. Fitting. The ACB needs to throw its weight behind a regular 4 year Test Cricket Championship program. It wouldn’t hurt the game. While they are at it they should try and secure the hosting rights for 2021. Christmas holidays. They never get old. The shellacking the Indian Cricket side copped for daring to criticise the facilities at the Gabba. The Australian media (or any media for that matter) isn’t known for being charitable but that seemed a little churlish even for them. Slow news day I guess. Three more PNG Hunters have been recruited for higher honours, this time in the NRL (Wartovo Puara (Souths), Thompson Teteh (Souths) and Stanton Albert (Penrith)). As I have mentioned on a number of occasions, I’m hoping the Hunters are good for Rugby League in PNG. Have to question whether the Hunters will be competitive in 2015, although PNG has a large pool of relatively untapped talent. Once again I am hoping they are. By my count that makes at least 7 Hunters that have moved on from this year’s squad. Mark Mexico (Gateshead Thunder via Cronulla), Wellington Albert (Penrith), Garry Lo (Gateshead Thunder) and Jason Tali (Gateshead Thunder) have also been recruited by other clubs. Head Coach Michael Marum also made the following point which has some merit. 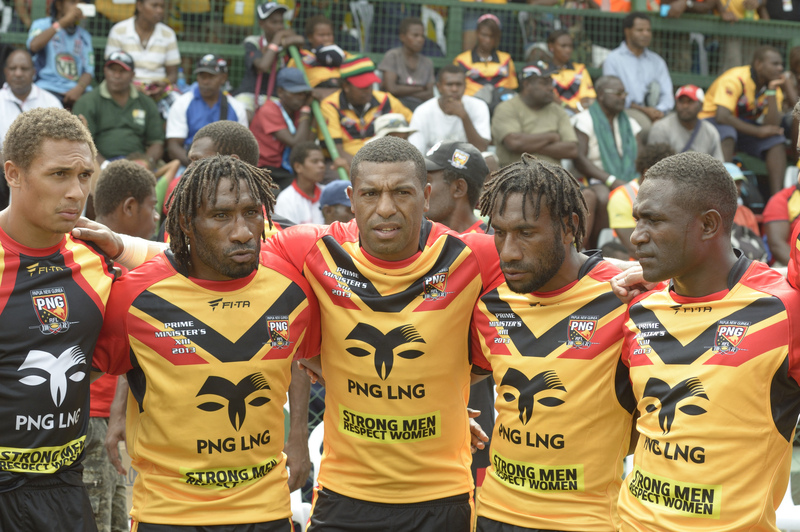 If there is a pathway for PNG Rugby League players which enables them to prepare and audition for the NRL within PNG that will enhance the likelihood of these players being retained for PNG internationally as opposed to the players that leave PNG early and earn dual eligibility (James Segeyaro being a case in point). Cut down holiday version. Full version to return after NYE. Harry Kane (Spurs) for Saido Berahino (WBA) – I’ve been playing 5 midfielders most of the season but Gylfi Sigurdsson is doubtful and I can’t find commensurate value for him. What I can do is swap out of form Berahino for in form Kane. I’m hoping he can get me into the top 500,000. Lofty ambitions. Forster (Southampton), Bertrand (Southampton), Ivanovic (Chelsea), Baines (Everton), Downing (West Ham), Sterling (Liverpool), Sanchez (Arsenal), Chadli (Spurs), Kane (Spurs), Austin (QPR) and Diego Costa (Chelsea) with Jakupovic (Hull), Sigurdsson (Swansea), Duff (Burnley) and Wisdom (WBA) on the bench. Jumped 100,000 places just like that. This entry was tagged Australia, Cricket, England, EPL, Football, New Zealand, PNG, PNG Hunters, Soccer. Bookmark the permalink.